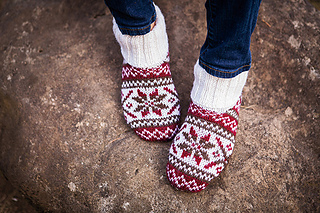 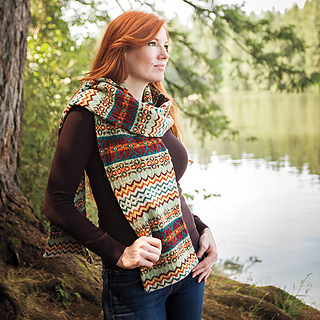 Named after a tiny island in the north of Scotland, Fair Isle knitting is a technique adored by knitters who love to build dramatic colorscapes with yarn. 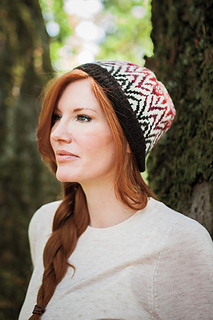 Our Creative Color collection embraces the heritage of Fair Isle while delivering modern, stunning colorwork projects. 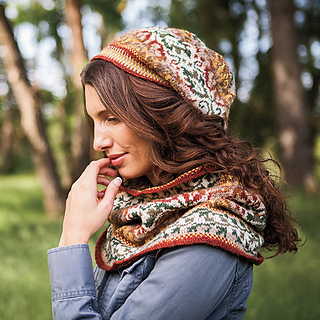 You’ll turn heads with this colorsaturated collection of garments and accessories, and stop your admirers in their tracks when they find out you’ve made these gorgeous items yourself! 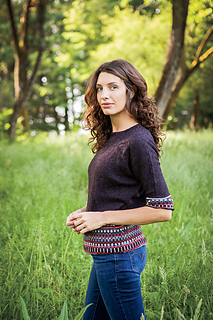 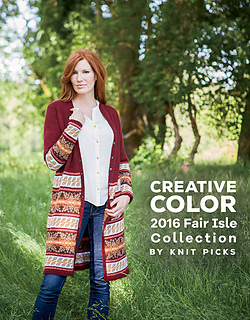 Creative Color: 2016 Fair Isle Collection by Knit Picks includes patterns for novice Fair Isle knitters as well as experts. 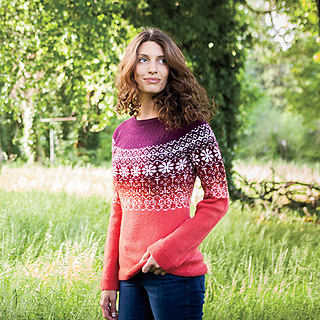 Newcomers can try out colorwork by knitting the Cassia Hat and Mitts or the Flower Island Cardigan. 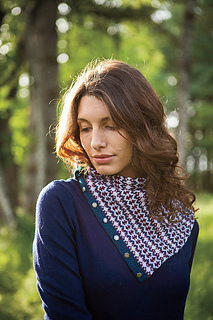 Those already in love with the elegant and subtle shadings of Fair Isle will be delighted by the scarves, hats, pullovers, cardigans and accessories - all beautifully photographed and elegantly written. 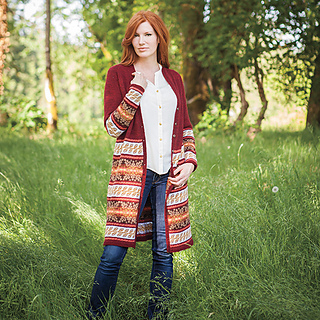 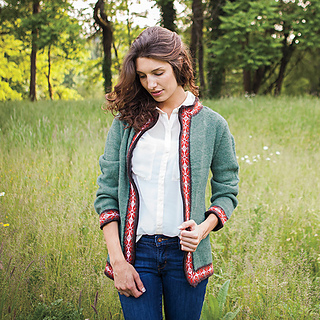 Whether you’re adding a pop of Fair Isle flair with the Silia Hat or stopping traffic with the Londonderry Jacket, you’ll find many patterns to love in this gorgeous collection. 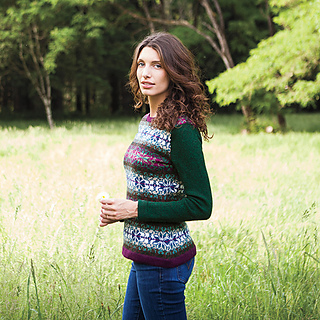 Choose your color palette and get started on your journey to Fair Isle without ever leaving home.